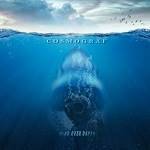 Mind Over Depth is characteristically introspective and allegorical like previous Cosmograf albums, but this record is much heavier with influences that draw from modern progressive metal, electronica and classic heavy metal. Joining Robin on his seventh Cosmograf release is Colin Edwin - Bass (O.R.k/ Porcupine tree) and Kyle Fenton - Drums. Shrinkwrapped Digipak with 16 page booklet.